The University of Georgia’s (UGA) Carl Vinson Institute of Government, in cooperation with the UGA Center for Continuing Education, is offering an online purchasing course. 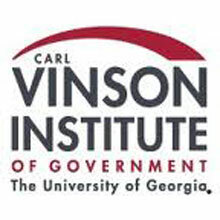 The University of Georgia’s (UGA) Carl Vinson Institute of Government, in cooperation with the UGA Center for Continuing Education, has expanded its portfolio of governmental finance courses. Purchasing, a self-paced online course, is the latest addition to the course portfolio following the July 2012 launch of introductory budget and revenue administration courses. Topics in the purchasing course include alternatives for organizing the purchasing function, a step-by-step breakdown of the purchasing process, methods for obtaining competitively priced goods and services, essential documentation to support purchases and purchasing ethics. “Last year almost 500 people registered for government finance courses, and this year we’re on pace for a substantial increase in registration,” said Pam Bracken, department head of special projects and curriculum development at the UGA Georgia Center. Go here to learn more about courses in UGA’s governmental training portfolio. For information on all UGA continuing education courses, go to this web page. The UGA Georgia Center for Continuing Education provides lifelong learning opportunities through its continuing education programs, and meets the training and professional development needs of individuals, businesses and organizations in Georgia and beyond.